Hailey’s Marlow Mizer has come a long way from skiing on Baldy to rowing in New Zealand. Mizer, a 5-3 sophomore at the University of Washington, is one of 11 Husky women competing this week in New Zealand in The Gallagher Great Race on the Waikato River in Hamilton. She will be the coxswain for the Huskies as they take on Harvard, Univ. of Waikato and Melbourne Univ. 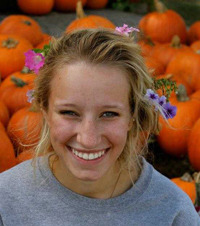 She was recruited to the University of Washington, NCAA Division 1, as a women’s crew coxswain in the fall of 2013. The coxswain is the person in charge of the navigation and steering of a boat, sitting in either the bow of stern and verbally issuing instructions. Last season, she was the Cox of the 2013 Girls’ Novus Eight that went undefeated, including the PAC 12 championships. The daughter of James and Jacalyn Mizer was coxswain of the winning Phillips Exeter varsity men’s eight-man boat in May 2013 at the Northeast Interscholastic Rowing Association Championships in Massachusetts. She graduated in the Phillips Exeter Academy (N.H.) Class of 2013 and jumped into the Huskies boats that fall.